Welcome and thank you for visiting our website. We send you greetings in the Holy and Almighty Name of the LORD Jesus Christ – KING of Kings and LORD of Lords; He Who was, and is and most assuredly is to come (soon and very soon)! 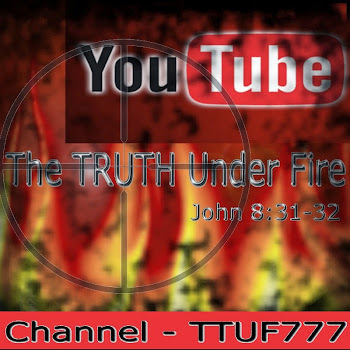 ~ One aspect of TTUF is as a discernment ministry and we offer dozens of articles that deal with truth and the falsehoods that permeate both this world, as well as the churches that profess Christianity, but are nonetheless falling into apostasy (2 THESS 2:3; 2 PETER 3:17). The one blessed assurance of escaping such apostasy is holding fast the Word of Truth (1 THESS 5:21; 2 TIM 1:13) and this is what we encourage all of our readers to do (2 TIM 2:15). ~ We are also a source for apologetics, both in article form and also in resources because we understand that all believers must “give a reason for the hope that is in [us]”. We desire that all of God’s children will have every confidence in every word in every one of the sixty six books that make up holy canon and understand that though “heaven and earth shall pass away” His Word will not (MATT 24:35)! ~ We here at TTUF also consider ourselves a prophecy web site because its by the prophecy of God’s Word we understand that these sixty six books written over thousands of years by dozens of different penmen are really a singular book, written by the Eternal Author . . . and Finisher of our Faith, the LORD Jesus Christ, The Word Incarnate Who alone declares the end from the beginning (ISAIAH 46:10), showing Himself as the One Who stands outside of time and space and inhabits eternity (ISAIAH 57:15). See also: 2 PETER 1:20. Prophecy is God’s way of revealing His plan for the ages, and provides encouragement as well as warning for all that will heed it. ~ We also desire to provide good, solid and clean biblical teaching (spiritual food) for the saint’s edification. We understand that the Christian life is all about balance, and focusing on the right priorities to the right degree. No such priorities can compare with the highest priority which is the Word of God, both in study and in application. If we are all about discernment we run the risk of focusing only on exposing error and this can lead to a hyper-critical attitude that may devolve into ‘witch-hunting’. If we are all about apologetics, then there is a considerable amount of the Scripture that is left out from this category and this too is spiritually unhealthy. And if we are all about prophecy, this can become obsessive and we may find ourselves striving to ‘pidgeon-hole’ everything in our daily lives and current events as a fulfillment of prophecy. Thus a devotional, disciplined and dedicated practice of reading, studying and applying all the counsel of God’s Word is the sure way that leads to spiritually healthy saints. See JOB 23:12; PSALM 119:11; 2 TIM 2:15; 3:15-17. Throughout the various articles we have what we call “TTUF Profiles” on key figures that have had profound influences on this world of sin, each of which representing a ‘cog in the machine’ that is instrumental in bringing about the plan of the enemy which is resolving before our eyes in what known as global governance, Third Wave Ideologies, new world order, etc. "Most of the articles here are thematic, and topical biblical studies in nature; to date there is only one expositional study that I've completed thus far, and that's on the epistle to the Ephesians. Other expositional studies are planned for the future, but many more topical studies will find their way here. Satan is the god of this world and the father of lies; thus it shouldn’t take us by surprise if we find that this world is inundated and governed by lies and deception, and most people (like in the film, The Matrix) go about blithely unaware of this Rule by Deception and so I created this site to convey the Truth of the Word in opposition to various deceptions (and yes, conspiracies – the legitimate ones) that are promulgated in this world. 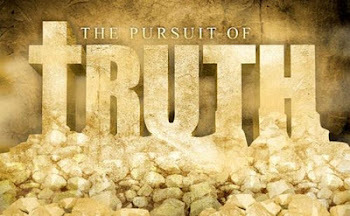 The RED PILL in my own analogy of this phrase is the TABLET of TRUTH – the HOLY WORD of GOD! Thank you for visiting TTUF – we hope that you’ll enjoy your stay! May the LORD bless you - - way too much!